The most important thing in hiring a wedding planner is that you hire someone who “knows what they’re doing,” right? And who knows Rosemont weddings better than a Rosemont wedding planner? Our in-house wedding planners are professionals experienced not only in the wedding industry, but also in how to best coordinate all your vendors and logistics with the Rosemont property. We have three levels of service, depending on your needs and budget. Each varies in the degree to which your coordinator is involved in the planning process and various details, but all three levels are designed to help create the synergy needed to make sure your day runs smoothly. 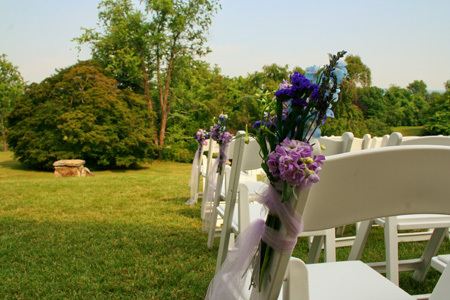 To learn more about what each level offers, please email us at weddingplanning@rosemont1811.com. Want to go all out with the latest in wedding design? Our wedding planners are also experts in designing every detail of your wedding, according to your vision and expectations, for a beautiful and flawless presentation that you and your guests will never forget. To learn more about our In-House Wedding Planning and Design Services, contact our Director of Weddings and Design, Michael Haymaker via email at weddingplanning@rosemont1811.com or by phone at 540-955-2834.